An emotionally powerful and technically towering achievement, Deepwater Horizon potently puts a human face on the devastating 2010 man-made environmental disaster, repositioning Peter Berg as a filmmaker of strong visual and emotive skill. When people think of the Deepwater Horizon oil spill of 2010, no doubt their first thought would be the blackened waters of the Gulf of Mexico that surrounded the drilling rig, and the vision of oil stained wildlife choking to death. Director Peter Berg (Lone Survivor) has another perspective. He thinks of those 11 workers who died and the countless injured, who survived the fiery results of a BP organisation motivated by greed and took unnecessary shortcuts resulting in a literal dead-end of an unintended yet foreseen (by some) tragedy. 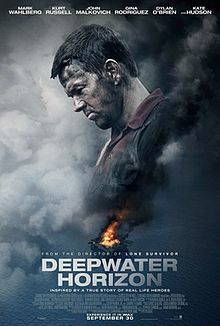 That anger, sadness and frustration felt throughout Deepwater Horizon is matched by excellent craft and skill in re-enacting this man-made disaster with an immersive, absorbing pull that puts the audience in the oil stained, debris scattered, flame engulfed oil-rig that stood alight as a symbol of corporate incompetence bordering on the sociopathic. A key to the film’s success is its casting of the men and women involved in the event. In his second collaboration with Berg (following on from Lone Survivor), Mark Wahlberg delivers one of his very best turns as Mike Williams, an electrician on the oil-rig who would lead numerous lives to safety and go on to be a key witness in the investigation that followed. 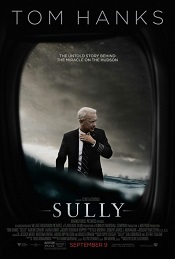 Wahlberg successfully portrays Williams as a family man and well liked employee whose life was put in jeopardy by the likes of John Malkovich’s mealy-mouthed BP representative, who pushes for work to go ahead while ignoring simple safety protocol. Berg makes no qualms in placing the blame on BP (as supported by the real life manslaughter charges and hefty billion dollar fees handed down), and does so in representing the facts as accurately possible for a Hollywood production. While there is much in the way of black and white here, there is plenty of grey to be found too, as seen in Kurt Russell’s oil-rig supervisor “Mr” Jimmy Harrell who puts up a fight, by ultimately buckles under the pressure of a billion-dollar conglomerate. In many ways Deepwater Horizon is a damning indictment. But more to the point it is a tribute to the heroism of hard working people who should not have been placed in their predicament in the first place. Many a disaster movie has been made before and will be made after. Yet only a few can match the power and spectacle found here.